For over 10 years consumers have been enjoying the benefits of the Brite Focus line of premium brain health supplements.These safe and natural supplements have been endorsed and tested by leading neurologists, and there is both clinical and anecdotal evidence that they work. In fact, 90 percent of consumers who try them are so happy with the results that they sign up for the monthly subscription program. 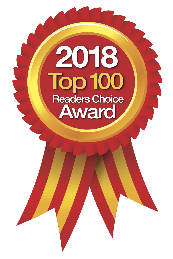 BriteFocus now offers healthcare professionals premium brain health supplements, the same high quality line that they have been selling to consumers for over a decade. Safe and natural, these supplements have been tested and endorsed by leading neurologists, and their efficacy is backed by clinical evidence. Moreover, 90% of consumers who tried these products signed up for the companyâ€™s monthly subscription program. The "performance" supplement of the line, BriteSMART is the only nootropic brain health formula to have undergone a double-blind placebo clinical trial. Data from this study shows that BriteSMART, clinically known as Ceretrophin, impacts both cognitive function and mood. Specifically, BriteSMART decreases stress and improves memory, mental focus/attention, and general intelligence. Remarkably, in just 4 weeks, study participants experienced an average 6-point increase in IQ scores. 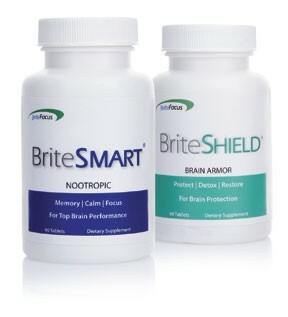 BriteSHIELD, formulated for protection, contains clinically-proven ingredients to armor neurotransmitters and slow brain aging, and it helps protect the brain from cell damage due to free radicals and toxins. BriteSHOT, a fast-acting brain performance drink, is based on the BriteSMART formula, and can be used as a booster to BriteSMART or as a stand-alone for younger users. Consumer feedback indicates that BriteSHOT helps with calm and focus, making it easier to complete brain-intensive tasks. For further information, free samples or copies of clinical trial reports, call, email BriteFocus at info@britefocus.com or view their website.